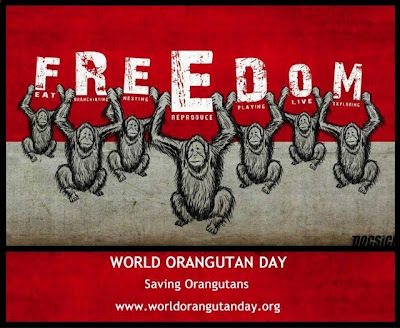 ..........................................................................................: Happy world Orangutan Day ! Happy world Orangutan Day ! To recognize the most iconic victim of the palm oil industry, World Orangutan Day has been set as August 19th as a positive way to bring much needed attention and awareness to the crisis facing these beautiful red apes. From 1992-2000, the population of the Sumatran orangutan declined by more than 50% and only an estimated 7,000 animals are left in the wild. Its relative, the Bornean orangutan population fell nearly 43 % in the past decade and estimates place their population at about 45,000 animals. Since the last population estimates were done, deforestation rates have continued to climb which means the actual populations could be well below these. 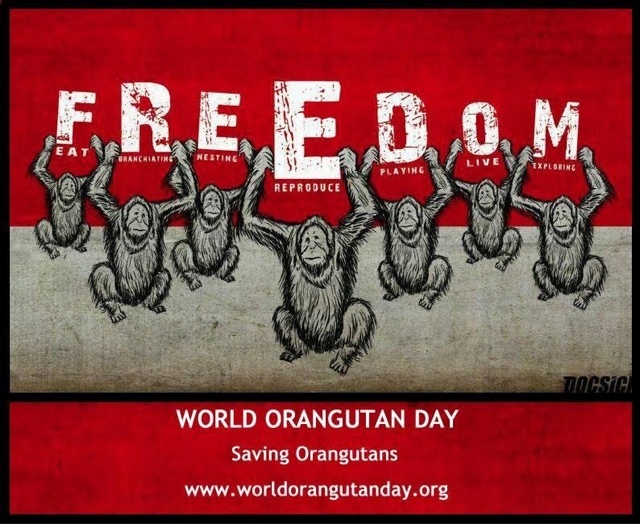 Something has to be done to save the orangutans and that is the reason for World Orangutan Day! Palm oil is a type of vegetable oil which has a very high content of saturated fat. It is derived from the palm fruit, grown on the African oil palm tree. Oil palms originated in West Africa, but can flourish wherever heat and rainfall are abundant. Today, almost all palm oil is produced in, and exported from, Indonesia and Malaysia; but most of the time not using sustainable measures. 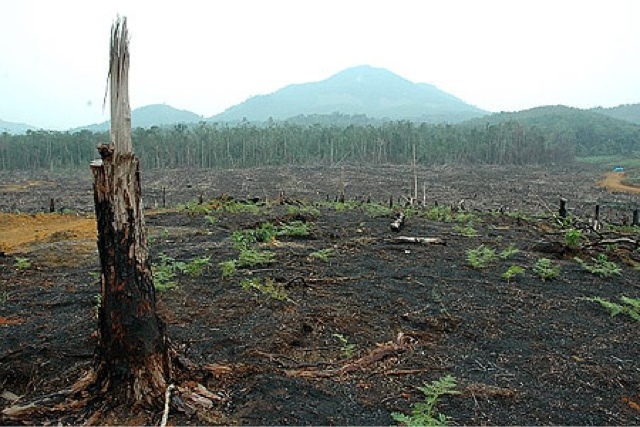 Because of its versatility, the worldwide demand for palm oil has become insatiable. 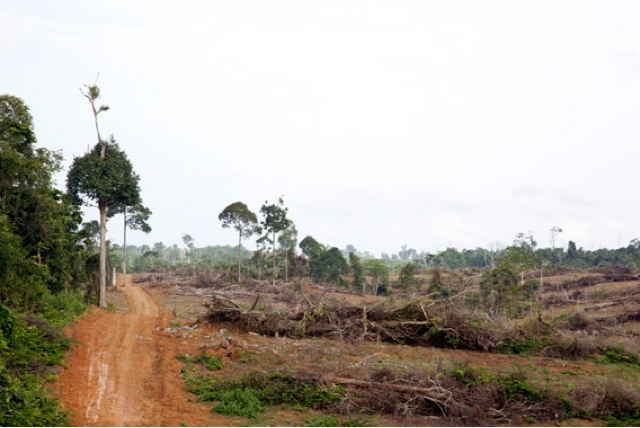 It is estimated that rain forests are being cleared at a rate of 300 football fields per hour to make way for oil palm plantations. 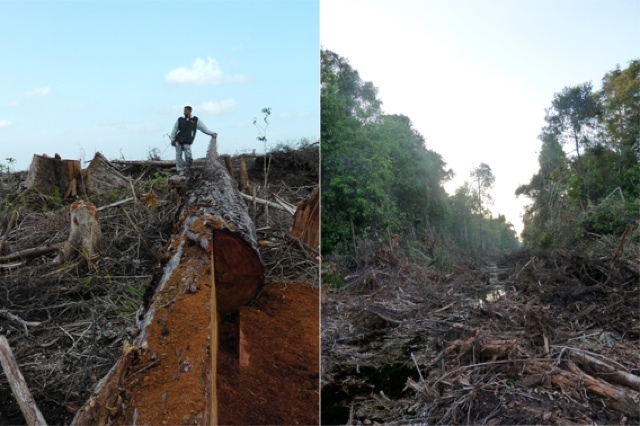 This swift destruction of rainforest habitat in Southeast Asia has had a devastating impact on orangutans. From 2004 to 2008, the Sumatran orangutan population fell by 14 percent to 6,600, largely due to loss of habitat for palm oil expansion. There is a real threat that orangutans face extinction within the next 10 years because of these actions. 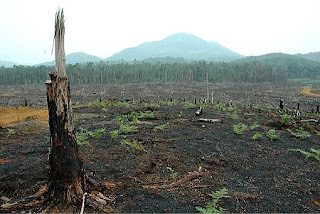 Unsustainable Palm Oil is responsible for thousands of kilometers of pristine rainforest that is slashed and burned in order to make way for oil palm plantations. Many orangutans and other animals are killed in the process, for the production of palm oil used in many of our everyday foods and products. This large-scale deforestation is pushing orangutans to extinction, along with many other native species of Borneo and Sumatra. Their home being destroyed. 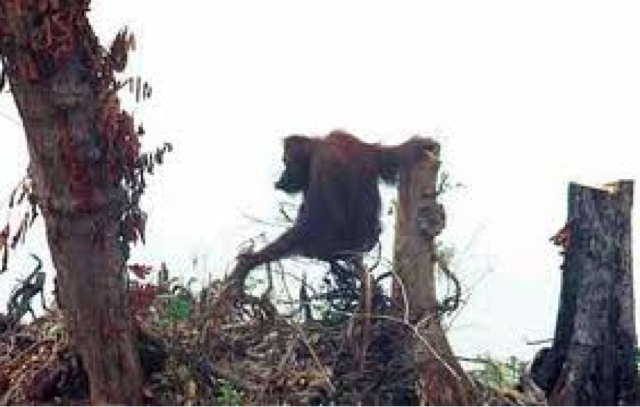 Orangutans ,plants, and other animals being left without a home. 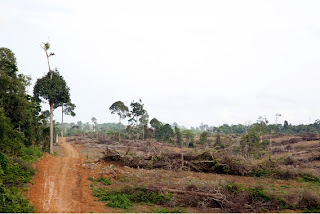 The issues (both political and economic) concerning palm oil production are complex. 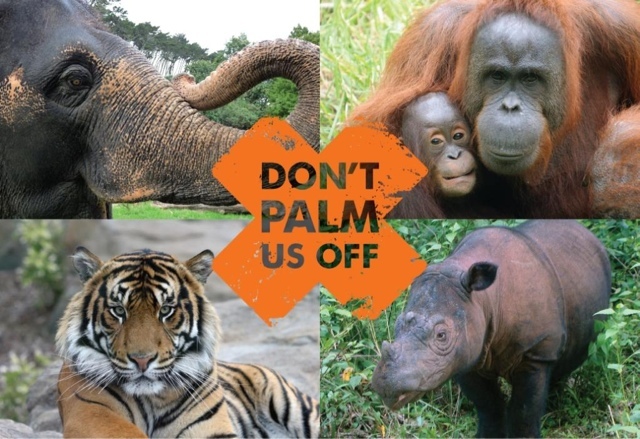 Read labels carefully and avoid products containing palm oil. 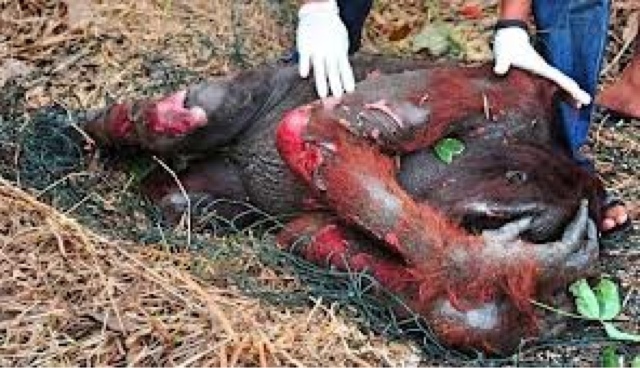 Ask manufacturers to use only sustainable palm oil in their products. Donate & support all orangutans organization. Here is the list. Click the link below. Remember, we share 97% of their dna. Should we destroyed 80% of their habitat? Be the voice for them. Keep stand against all kind of deforestation & don't forget to use non palm oil products. Hug & kiss. Animals Angels.